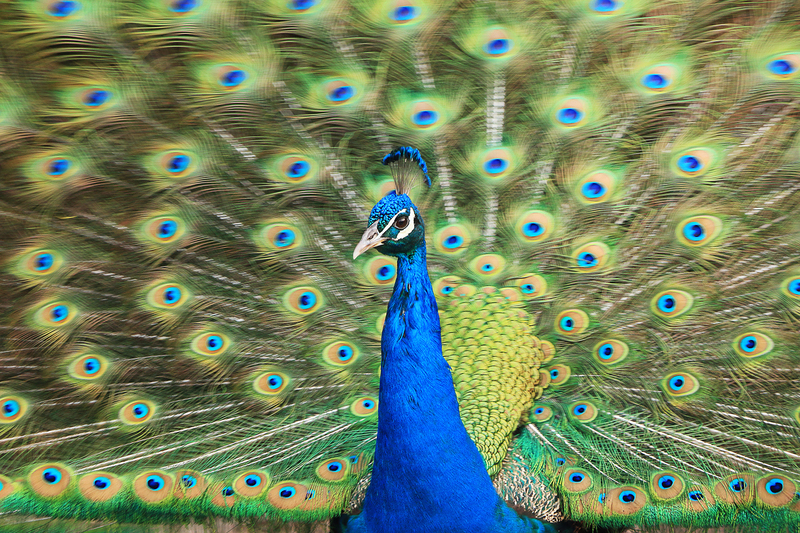 It’s hard not to be mesmerized when a male peacock opens his rear fan of blue and green feathers and shimmies that train for attention. This dandy must have smelled a nearby female to reveal his glory and prowess. Apparently, the number of eyespots in a male’s train will predict his mating success. This fellow must get lucky a lot. I was several feet from his show and did my best to capture his feathers with focus. The motion blur I captured displays how his torso remained incredibly still while his rear waved around with amazing muscular control. I am so envious of that incredible core strength. If I were a peahen, I wouldn’t have been able to resist that flirtation.